The entrance to the He-Ni-Uwa. If you are heading down to the Western side and want to stop for meal than the He-Ni-Uwa is the joint. It feels like you are in the middle of nowhere just trying to grab a meal, but then you will be drawn to the balcony of this restaurant and its friendly staff. Located on Maui Bay on the Coral Coast, He-Ni-Uwa restaurant and cafe is family run and has captured the hearts of many of its guests. The restaurant is owned by Apenisa Vunitasiri and his wife, Kinisalote They have three daughters who work at the restaurant with their cousins and uncles. This locally-owned restaurant serves breakfast, lunch and dinner. But most of all it specialises in fresh local seafood delicacies. Government ministers, chief executive officers, business people and prominent figures regularly stop by the restaurant. The facilities are clean with a lovely view over the lagoon to the reef. Some tourists who keep going back while on holiday on the Coral Coast say the meals were excellent. But what made it extra special was the friendly staff and the wonderful Bula welcome. Guests have the option of having their meal sitting by the deck while enjoying the view over the lagoon to the reef or the surrounding Coral Coast areas or they can dine inside the restaurant. The prices of the food are affordable like the kokoda. It feels like its home cooked and full of flavour. Some have even said they serve the best kokoda dish. Remember to bring your own wine or beer. They do not sell liquor, but serve its patrons with orange and fruit juice. 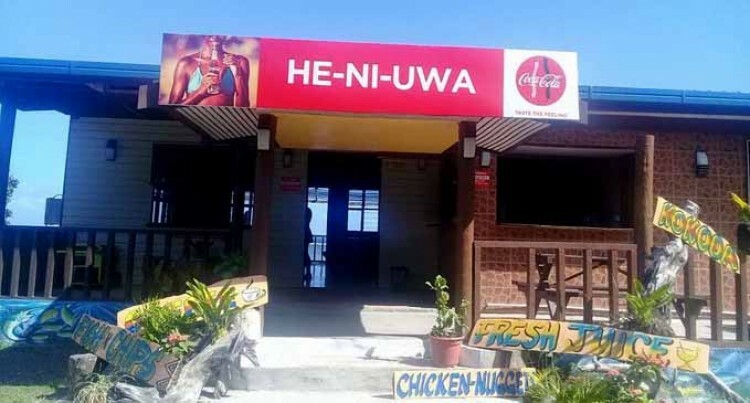 So whenever you are in the Coral Coast be sure to enjoy the food, excellent friendly service and views at He-Ni-Uwa.